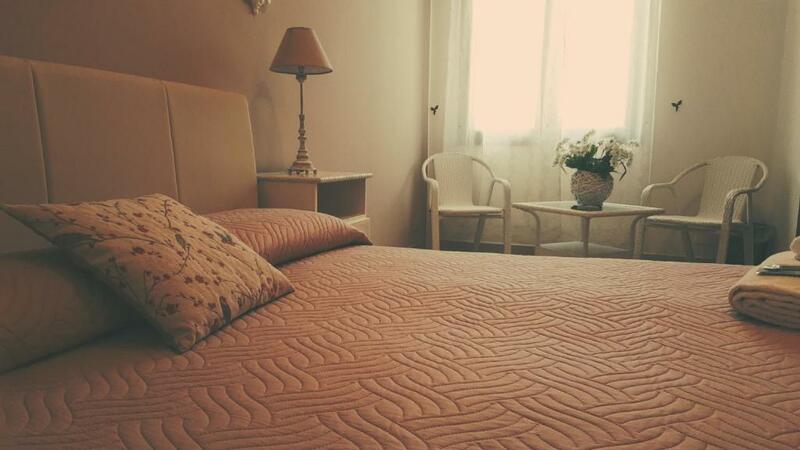 Lock in a great price for Demetra Malophoros – rated 9.3 by recent guests! We stayed over for a night. We were very well welcomed, the owner is very nice. She speaks good English and French. 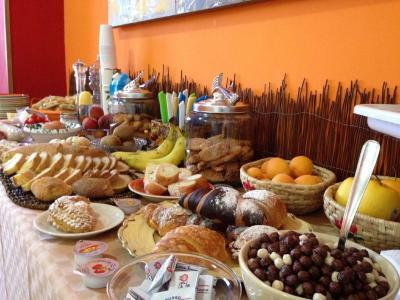 The breakfast was amazing and the room was comfortable. We recommend! 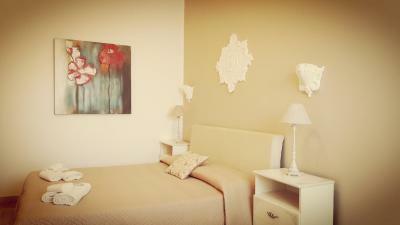 The room was very intelligently planned and spacious so that it was easy to unpack and organize. Maria really thought of everything. She gave us a very good tip on a restaurant which turned out to be one of our favorites of our whole 2 weeks in Sicily. The breakfast was good and the breakfast terrace pleasant. Maria was welcoming and informative about the sights and getting around. Maria was friendly introductions to the rest of worker and family. She went out of her way for us when transport connections proved difficult. Excellent breakfast with a taste of Sicily to remember. 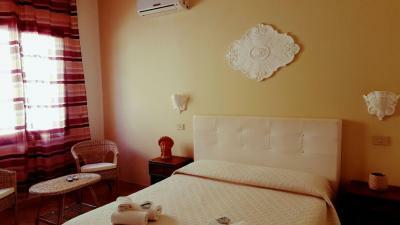 We visited Selinunte to see the Ancient Greek temples and stayed at this B&B. The room was beautifully appointed and breakfast was excellent. Maria was a delightfully friendly hostess. Highly recommended! The kindness of the owner. The parking. The cleaning of the bedroom!!! 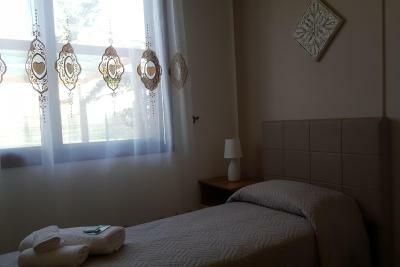 This facility is clean, well managed and located within easy walking distance from the beach. 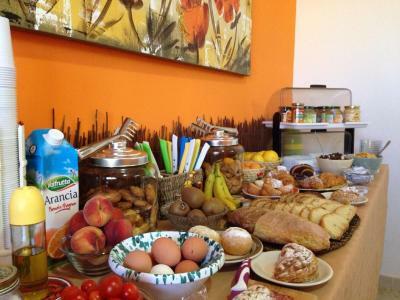 We enjoyed the breakfeast which provided us with the required for the day's cycling adventure. 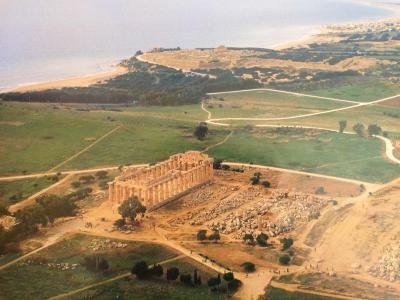 It is also close to the Seliunte archeological site. 15min walk to the bus stop from Castelvetrano. Room was clean. Friendly stuff. 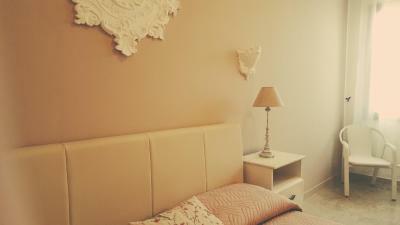 Comfy and clean rooms. Exelent breakfast. 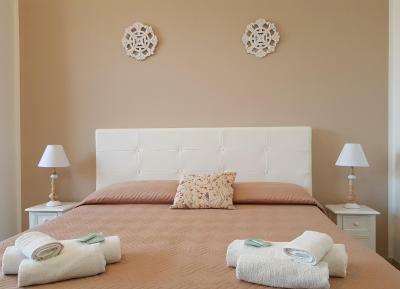 Set in the Sicialian coastal village of Marinella di Selinunte, Demetra Malophoros offers colorful modern rooms with a flat-screen TV and free Wi-Fi throughout. Local sweet and savory produce is served for breakfast. 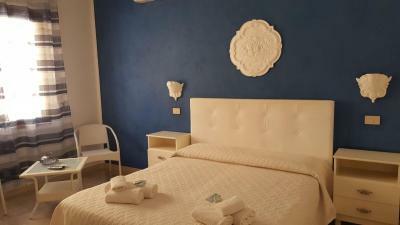 The color-themed rooms are all air conditioned. 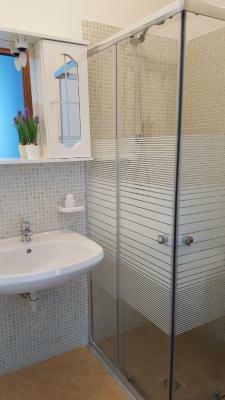 Each has a fully fitted bathroom with shower. Guests benefit from a well-kept shared garden and a partially covered patio, where they can relax. 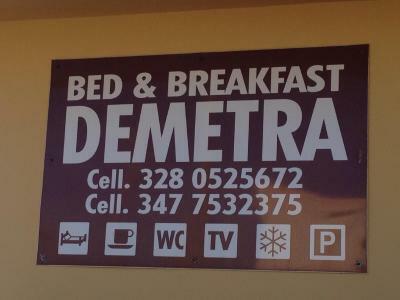 The Demetra Malohporos lies 650 feet from a local bus stop to Castelvetrano, 6.2 mi away. The closer beach in Marinella is reachable in 15 minutes on foot. 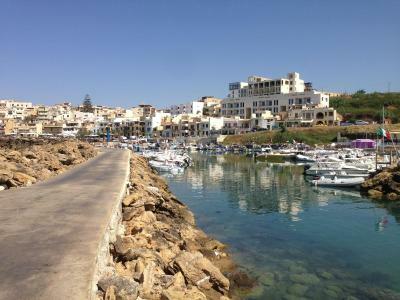 This property is also rated for the best value in Marinella di Selinunte! Guests are getting more for their money when compared to other properties in this city. 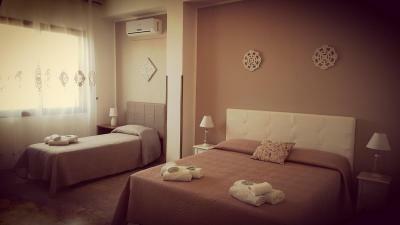 When would you like to stay at Demetra Malophoros? 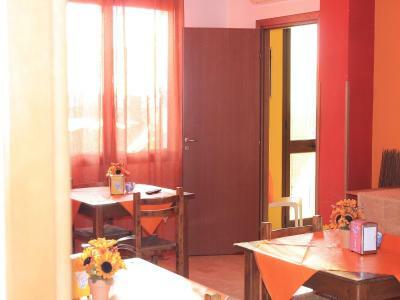 Color-themed modern room with free Wi-Fi, a flat-screen TV and air conditioning. The bathroom includes toiletries and a hairdryer. 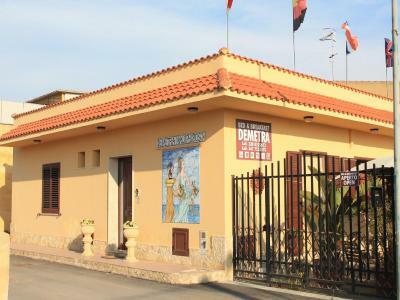 This air-conditioned room features a flat-screen TV, tiled floors and private bathroom with a hairdryer and free toiletries. House Rules Demetra Malophoros takes special requests – add in the next step! One child under 4 years is charged EUR 10 per person per night in a crib. Please inform Demetra Malophoros of your expected arrival time in advance. You can use the Special Requests box when booking, or contact the property directly using the contact details in your confirmation. Owner and staff wonderful! Great breakfast! I thought staff didn't have hospitality. Also bed was not comfortable. Not much, it was all good. Slightly old fashioned room, but very clean and spacious. Only cash payment. Basically, there was no staff in the afternoon so even though I had something I want to ask, I couldn't do it. It was a bit hard to unlock the key of the room. Bathroom was a little narrow (space between toilet and sink). great location. very pleasant and kind hostess.